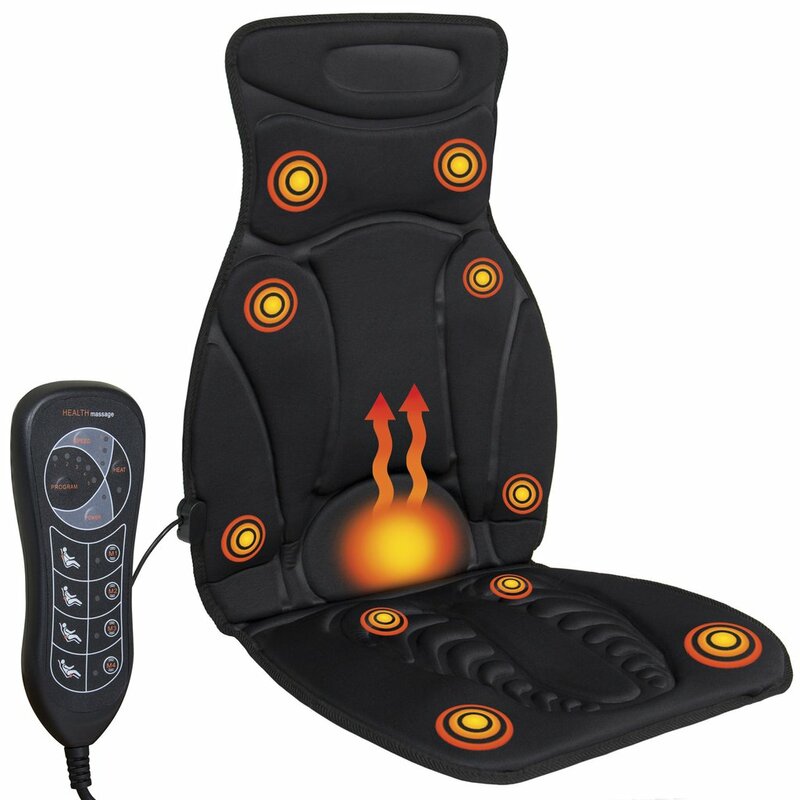 A massage cushion is a great alternative to a massage chair. While chairs are a fantastic investment in your body, mind, and overall wellness, they are definitely an investment. For those who can afford one, we say good on ya! And for those who either don't have that kind of budget or simply prefer a more portable option, a high quality massage cushion is nothing to sneeze at. They are heavenly little units, able to provide truly transformative relief and pack some of the same cutting-edge massage technology. You get a lot of bang for your buck, as they deliver outstanding, relaxing, therapeutic massage. They're also affordable, and best of all, you can take them with you wherever you go. 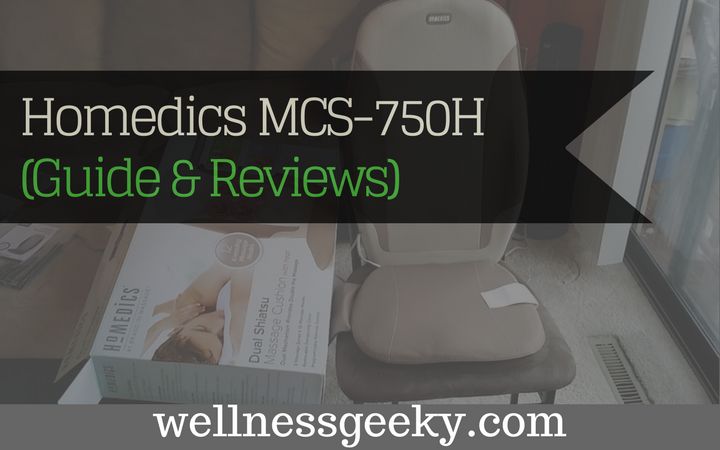 There are quite a few options, brands, and models in the portable category, so in addition to an in-depth review of the Homedics MCS-750H massage chair cushion, we'll take a look at some options, compare brands as well as other Homedics models, and provide an overview of the main possibilities and best buys. 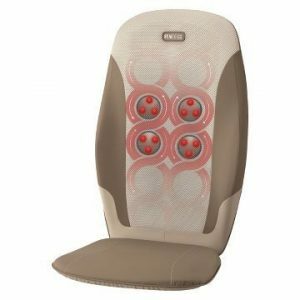 If the best massage cushion available is your bar, you can basically put Homedics on the top of your list. They are well known, have been in the massage product business for a long time, get great customer reviews, and have a loyal following. Their products are well made and utilize the latest in massage technology and engineering. Homedics and Zyllion are best in class when it comes to massage cushions. The MCS-750H delivers what they call quad Shiatsu massage. What this means to you and me is that there are four main rollers that provide the massaging. They're located in the back part of the cushion, and they work wonders. You hear a lot of banter thrown around when it comes to home massage products, but Homedics makes good on the assertion that their products are like having a personal masseuse at your beck and call any time of day or night. It's true. They're that good. Whether you prefer rolling, percussion, or kneading massage, you won't be disappointed here. The optional styles work to massage deeply into your back, de-stressing and breaking down your tight, sore muscles. You can use the rolling features to soothe soreness from sitting, standing, or working all day, and the percussion and kneading are amazing at knocking out the stress. After a mere fifteen or twenty minutes on the cushion, you will feel refreshed and rejuvenated. Your stress will melt away. The heat feature is great for accompanying the massage if you like to feel transformed into a peaceful state of mind. The two in combination work wonders to relieve tightness, stress, and anxiety, making you feel totally relaxed, calm in mind and body, and ready to face any challenge. Even if it's just a shower and a good night's sleep! There's a remote control so, you don't have to move out of your comfortable position to change the massage or turn on or off the heat. There are also zones you can turn on or off, so if you want to target only a certain area, you can customize the spot that you want to be massaged. This is really nice if you get a knot or are always tight in a certain area of your back or shoulder. Intensifying the massage on just that spot is great, especially if it's just for a few minutes until you work out the tension. Then, you can resume to a full back massage to ease into relaxation and bliss. Price. For the features and the outstanding massage you get, you can’t beat the price. Spot feature. The targeting feature enables you to hit hard-to-reach spots where you carry stiffness or a tight muscle group. This is great for working out tight knots or soothing sore muscles after a workout, long day at the office, or travel day. Rollers. The quad shiatsu roller system provides the ultimate deep tissue massage, soothing away aches, pains, and stress, leaving you feeling relaxed and calm throughout your entire body and senses. This is where the Homedics really shines. Seat. There is not much to write home about when it comes to the seat. In the 840-HA you get a spa-grade cushion, and in the 380H you get vibration, so this is something you sacrifice. Neck. There’s not a lot in the way of neck massaging, so you would be well served to compliment this with a neck massaging cushion if you suffer from stiff neck muscles or headaches. The entire Homedics line is excellent, and if you're looking for slightly different features or price points, chances are good you'll find one that suits you. And all deliver a truly spa-like massage. 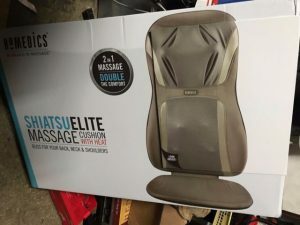 The Homedics MCS-510H is a very good and slightly more affordable massage cushion. 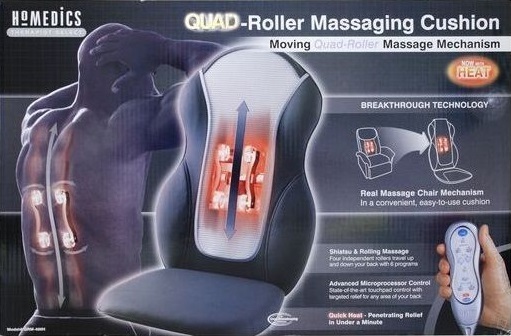 If you can do without the quad shiatsu massage, and the price is your driver, and it delivers. You get the heat option for adding to the back massage, and you can still choose between massage styles. The kneading function is so great for getting to those really tough, tight areas on your back, especially behind the shoulder blades. If that's where you carry your stress, like so many of us, do, you will love the targeting ability of the rollers. You can also adjust the width of the back, so you'll be able to reach between your shoulders, no matter how wide or narrow. This is a lifesaver if you have a wide back. If you want to go the other direction, and step up the ah factor, check out the MCS-840HA. This one has everything you get in the 750H but adds the neck massage and heat. So, if you like deep neck massage, you'll feel like you're being massaged by a professional masseuse when you use this cushion. The rolling action penetrates deep into your muscles, melting away stress, sore and tight muscles, and making you feel literally healed. If you have a knot, it will be gone. The seat cushion is also a spa grade, which is a nice addition. You'll feel a total, full-body calm. You are likely to forget you're using a cushion at all because of the neck massage and extra comfy seat. It's more like the experience of a chair massage or professional. You'll feel stress and tension melting away from your neck all the way down the backs of your legs. Add the ability to choose the exact areas of the back and neck you want massaged, and you have a recipe for de-stressing you'll come back to. The 380H Homedics Shiatsu Pro Plus has two rollers to hit those tight, tough areas in your back, and you get the added bonus of vibrational massage in the seat. So, if you're looking to totally relax after a long day of sitting, or hours on your feet, the integrated seat and back massage will melt away the tightness in your muscles and make you feel calm and rejuvenated. You get two rollers instead of the four you get with the Homedics 750H, but you still get the option of adding heat, which is ideal for relieving pain and making you feel more energized because it increases circulation. This is great for first thing in the morning when you want to start the day energized. The MCS-380H delivers deep tissue shiatsu massage, and you can target it at whatever specific areas on your back that are tight or sore. With the deeply penetrating kneading, you'll feel the stiffness and stress dissipate, which on this cushion is almost as good as a manual massage by a therapist who can work out those knots in your back with their hands. You can adjust the intensity of the vibration in the seat cushion, so if you stand or walk a lot, have lower back pain, or sit for hours on end, this intensity really helps reduce pain, stiffness, and soreness in your legs and lower back. We can't always find the right shoes for ensuring our legs, feet, and back don't get overworked, so a good way to end the day instead is twenty minutes in the 380H. You'll feel the difference in your legs and lower back. When it comes to home massage products, whether you're looking for a fullback massager cushion, heated pads, neck and back massagers, or a massage pillow, the entire line of Homedics models is hard to beat. While there are other brands and models out there, Zyllion is a fairly good match up when it comes to features and benefits. They put out a similar array of fullback massaging cushions, massagers, and pillows. If you were to do a head-to-head comparison of Zyllion and Homedics, you'd find many similarities. Zyllion comes out ahead when you look at integrating more fully seat and neck massaging into the back cushion. They focus on all three a bit more fully than Homedics, which is predominantly for your back. Both will really work your sore and tight muscles, relieve the tension in your back, and increase your sense of wellbeing. Homedics gets a leg up with their Shiatsu roller technology, which really delivers a deep, satisfying massage, transporting you into a deeper level of awareness and full body decompression. When you're looking to enhance your overall level of relaxation, relieve the stress of your mind and body, and find a deeper level of transformative mind-body wellness, the Homedics MCS-750H Massage Cushion will not let you down. The entire line is available on Amazon and at an affordable price point. Unfortunately, most of us have more than enough stress and not enough time. Incorporating a massage pad into your daily routine, either travel trips to the office or gym might just give you enough of health benefits to consider it as part of your daily routine.